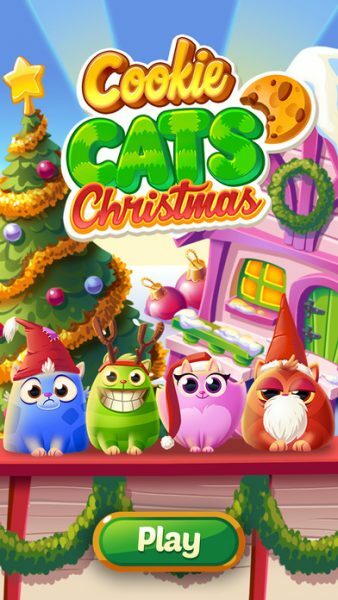 As the holidays move closer the hit game Cookie Cats is all prepared for Christmas! Now in time for Christmas you can snuggle up with your favorite Cats and a hot cup of chocolate while the snow falls outside. Perhaps however you do not want to give a cute cat a snuggle. Not a problem, go get your gloves on and get ready for a snowball fight! Winter is finally here, and the Cookie Cats LOVE to both cuddle and play in the snow! The Cookie Cats have hidden presents all over the world, and if you can find them you will get FREE rewards! Grab your coat and enjoy the snowy WINTER WONDERLAND throughout 50 new levels! Help your fellow holiday lovers in the new, wonderful social challenge! MEOW!